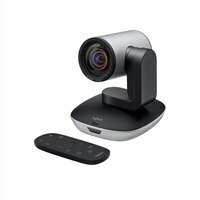 Logitech PTZ Pro 2 - Conference camera 1080p - motorized - USB - H.264With premium optics and life-like video, Logitech PTZ Pro 2 camera stands apart. It features brilliantly sharp image resolution, outstanding color reproduction, and exceptional optical accuracy - at half the price of comparable models. With premium optics and life-like video, Logitech PTZ Pro 2 camera stands apart. It features brilliantly sharp image resolution, outstanding color reproduction, and exceptional optical accuracy - at half the price of comparable models.